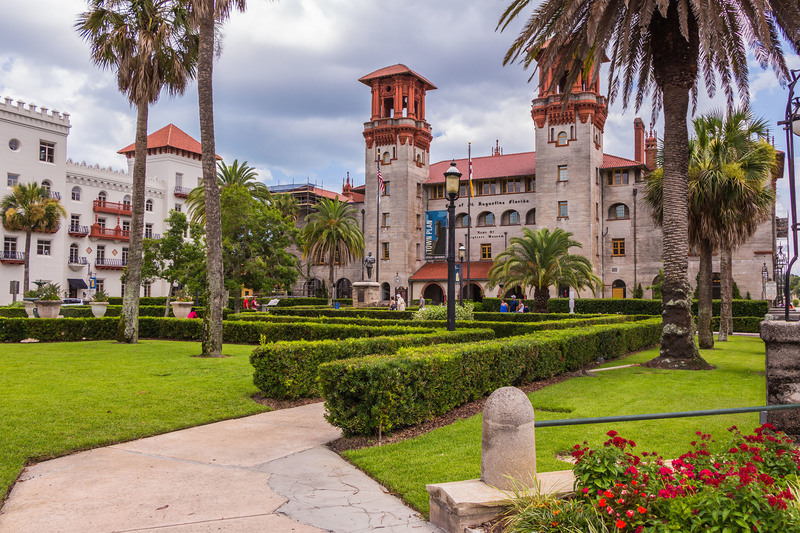 St Augustine, on north-eastern Florida’s Atlantic coast, was founded in 1565 by Spanish explorers. 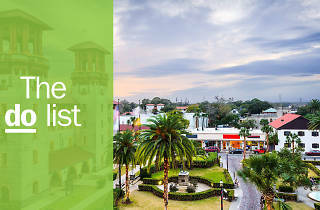 It served as the capital city of the region for more than 200 years and later as the capital of the British East Florida territory. Its rich history draws many visitors, but the area is surrounded by beautiful beaches and wildlife preserves. 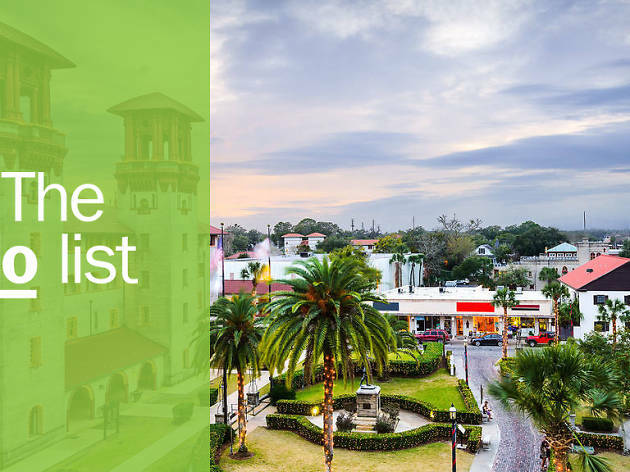 That, teamed with a thriving food-and-drink culture, makes St Augustine a good bet for anyone looking for variety. What is it? 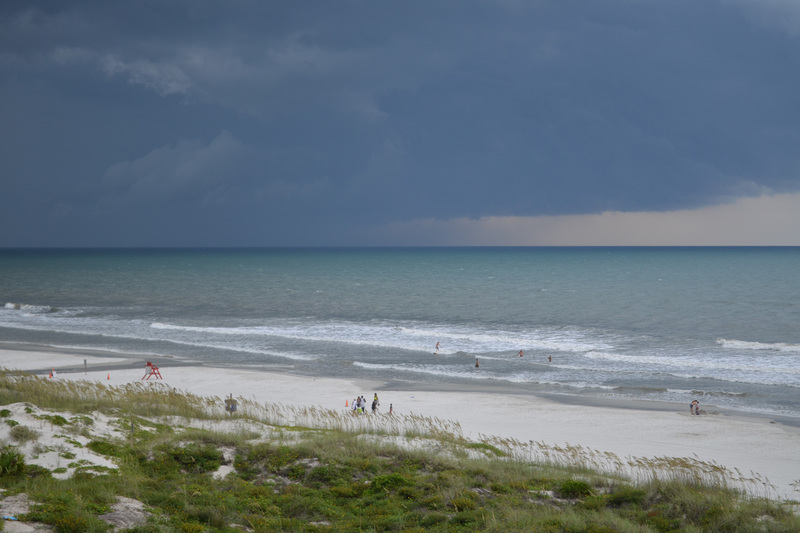 Crescent Beach, part of a wildlife refuge on Anastasia Island, is the perfect place to play and explore – sans crowds. Why go? Those in search of a tranquil, unspoiled beach will love a visit here – one of the area’s best spots for shell-seekers. 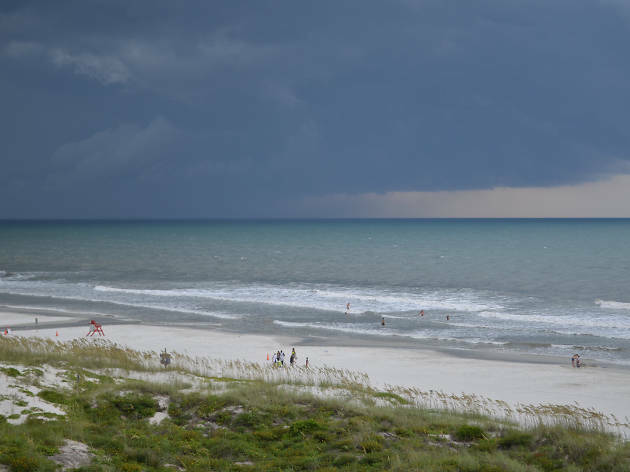 Walk, bike, swim, surf, or boogie board: however you explore, you’ll fall in love with the miles of coves, dunes, boardwalk, and secluded spots. A top spot for a rose-coloured sunset. What is it? 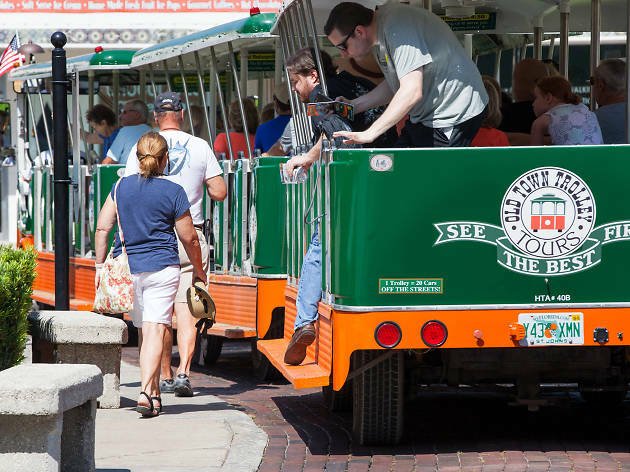 Visitors wanting to get the lay of the land will love the 90-minute narrated tour of the city. 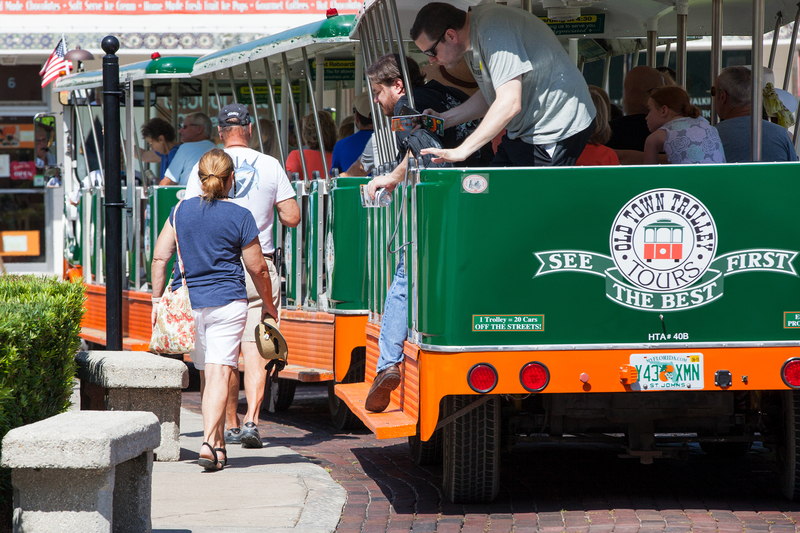 Use this hop-on-hop-off trolley to explore the historical areas. Why go? The stops have a wide range of interests: the culinarily inclined will love the San Sebastian Winery and Whetstone Chocolates factory stops, museum buffs will want to check out the Villa Zorayda and Lightner Museums, and fans of military lore will hop off at the Spanish Military Hospital – all without having to navigate a rental car. What is it? 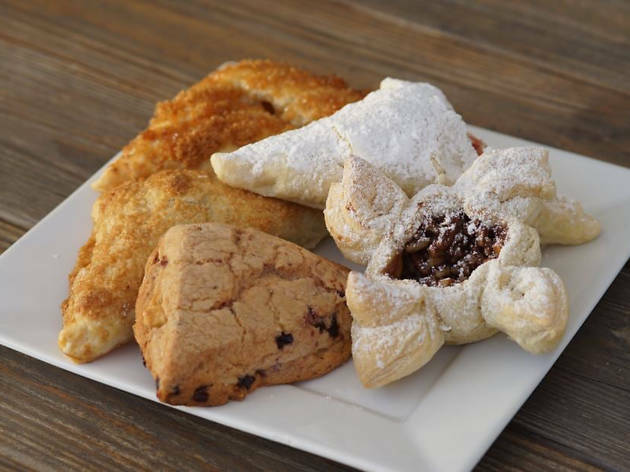 Like the name suggests, this bakery in an old stone house in the Historic District has been serving traditional Spanish delicacies (much like the founders of St Augustine would have enjoyed) for more than 50 years. Why go? The stone hearth oven churns out delicious-smelling fresh bread, but the empanadas are the real draw. Combine with Minorcan clam chowder (or whatever the soup of the day is) for a quick and affordable lunch. Grab a picnic table in the courtyard as you plan your what’s next on your list – but be aware of the Spanish Bakery’s limited hours – it closes when the food runs out. What is it? With St Augustine’s proximity to the water, sailing is an obvious way to spend a sunset, sunrise, or an afternoon. Why go? 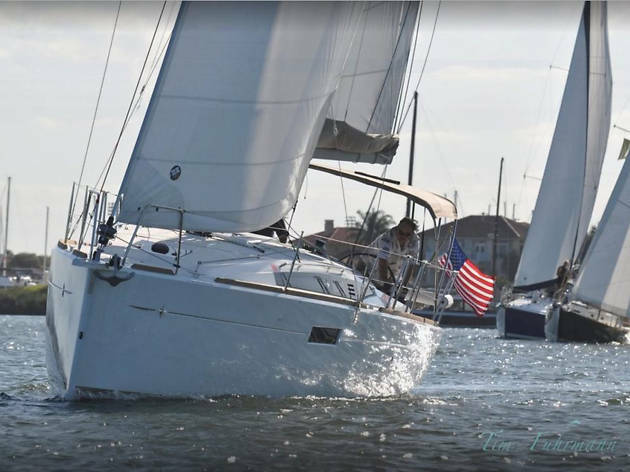 SailTime offers private captained sailing charters for between two hours and a week, plus sailing classes for those interested in learning and sailboat rentals for the experienced boater. A ride on one of the fleet of gleaming 21 to 45-foot sailing yachts will have you feeling like a million bucks – and is sure to provide some ’gram-worthy moments. What is it? Avast, ye hearties! If you ever had the childhood fantasy of sailing the seven seas you’ll be entranced by this er, ship-shaped museum, where you’ll find rare pirate artifacts and shipwreck booty. Why go? This unique museum has the world’s largest collection of its kind. 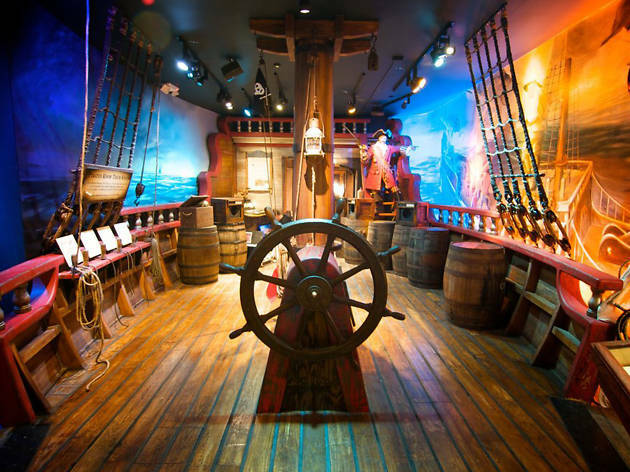 Designed to resemble a pirate ship 300 years ago in Port Royal, Jamaica, the exhibits include weapons, maps, rare books, and antiquities, plus an interactive tour and treasure hunt. What is it? A craft distillery in a 100-year-old ice house. Free tours every half hour include a sample of rum, vodka, whiskey, or gin. Why go? 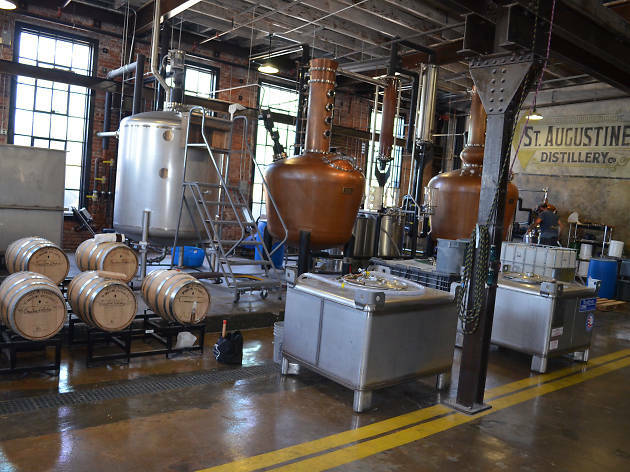 This is small-batch distilling, propelled by a collective of 28 passionate St Augustine locals. Partnerships with local farmers mean they use unique regional ingredients – including local sugar cane, corn, wheat, and citrus. 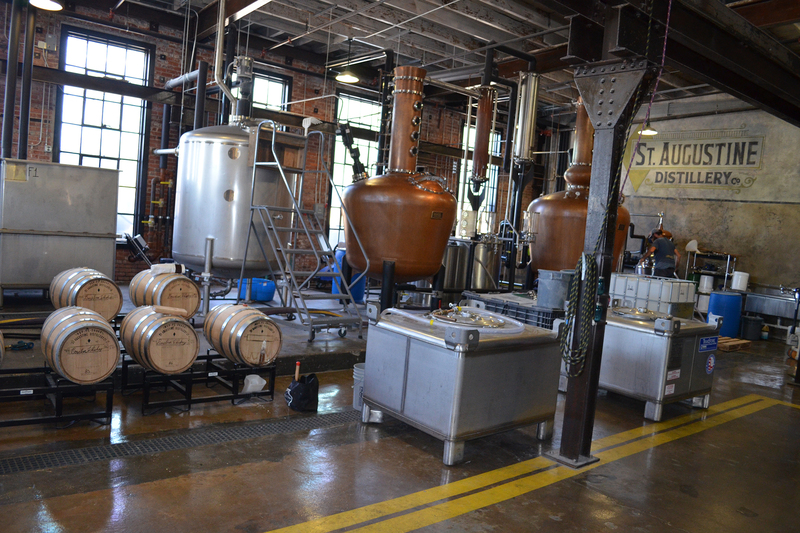 Using historic methods they hand-mash, cook, and distill their spirits in-house – and the informative tour gives you an insider look at exactly how it’s done. What is it? Built in the typical style you’ll see all over town, the Lightner Museum is home to all kinds of Victorian art and ephemera. Why go? 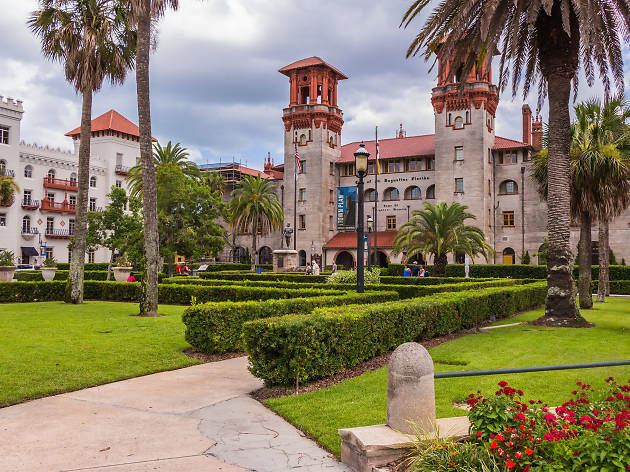 Henry Flagler built the Alcazar Hotel in 1888 (and the Ponce de Leon Hotel, now Flagler College), in the Spanish-influenced style you’ll see all over the downtown area. The historic building, with its open courtyard, palms, and fountain is a must for photos, but inside you’ll also find a collection of curios bought at auction during the Great Depression by Otto C Lightner as estates were liquidated. The eclectic collection ranges from a mummy and a shrunken head to Tiffany glass and fine-art paintings and sculptures. What is it? 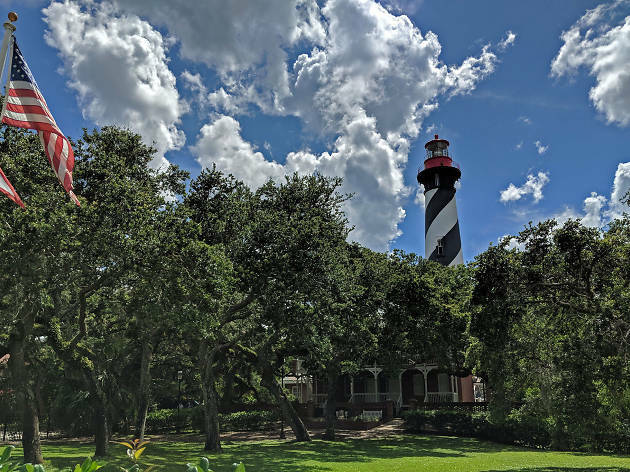 This historic lighthouse with 219 stairs that brings a breathtaking 360-degree view of St Augustine and its beaches at the top. Why go? 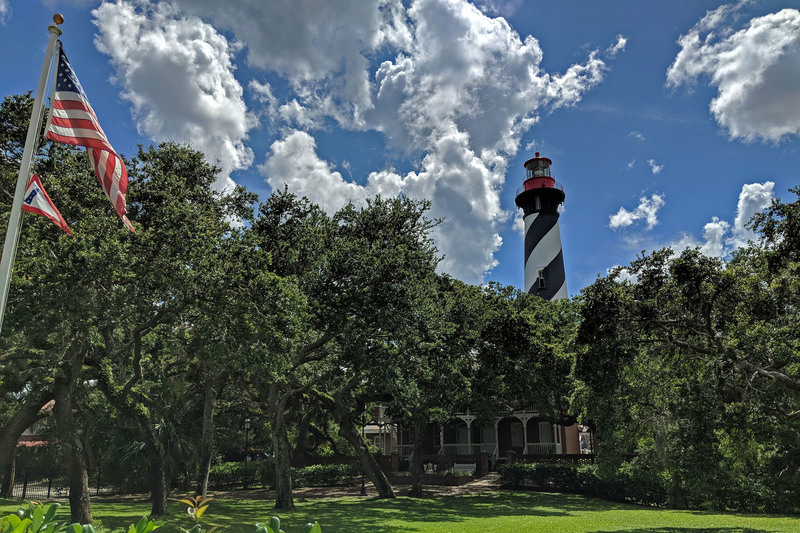 After the climb, go below to see pieces from a British shipwreck dating back to 1782 and the carefully curated exhibits at the Keeper’s House and the Maritime Archeology Center – plenty to keep a history buff busy for the afternoon. Looking for a tour that takes you to new heights? Take the Dark of the Moon ghost tour to get spooked by local paranormal lore. Afterwards, nearby Gypsy Cab Company serves a daily-changing menu of soups, salad, sandwiches, and mains with a vintage diner vibe. What is it? Explore five of the city’s flavorful offerings in three hours as you stroll through town with your expert guide, who will weave in historic details. Why go? 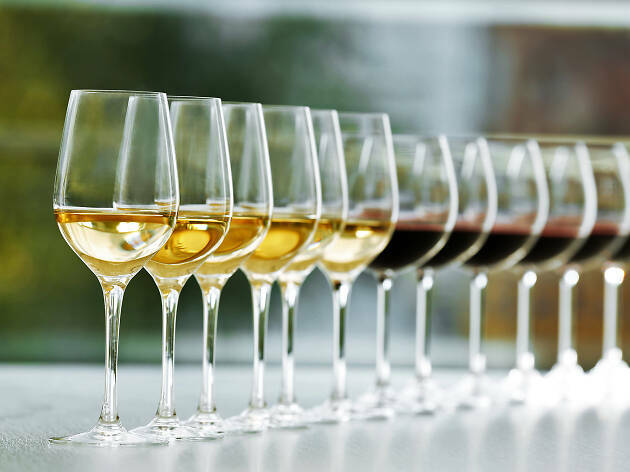 No two tours are exactly alike – the restaurant lineup changes daily – so theoretically, you could sample 20 different eateries in just a few days. The tour company also offers pub crawls combined with scavenger hunts. What is it? 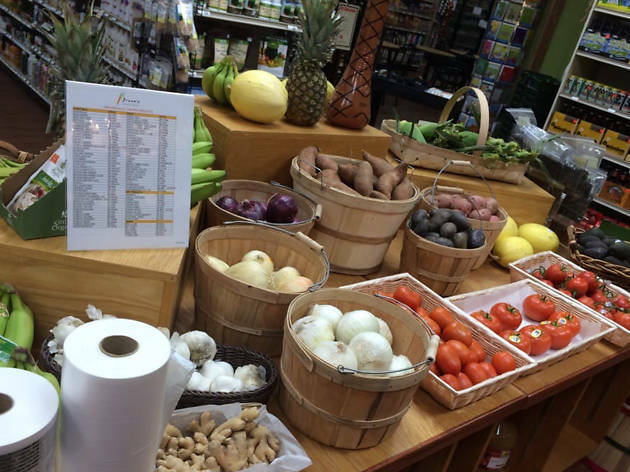 A local staple for more than 30 years, Diane’s is a café and shop selling organic produce and other health products. Why go? Diane’s is the place to grab the ingredients for your perfect beach picnic. The menu changes seasonally and includes from-scratch soups, sandwiches, fresh-pressed juices, and smoothies. What is it? 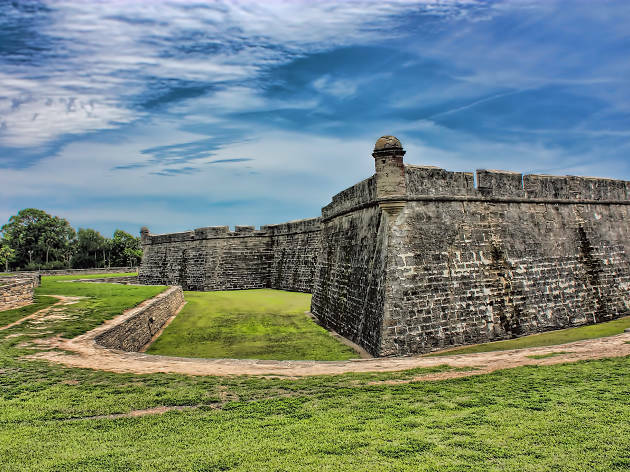 The oldest stone fort in the US, where re-enactors bring history to life. Why go? 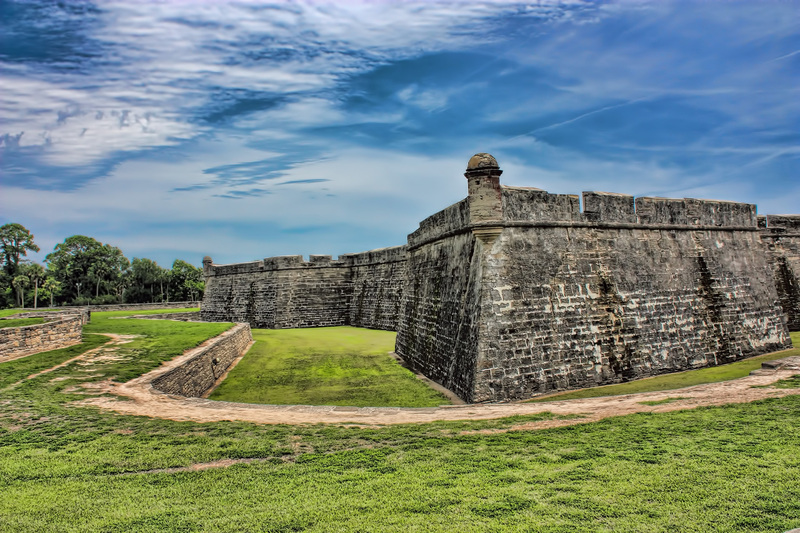 Built between 1672 and 1695, Castillo de San Marcos is a national monument that attracts more visitors than any other sight in St.Augustine. Situated on 20.5 acres, it offers unparalleled views of the Matanzas River and Bay. Be sure to see the cannons being fired off and get tips from the rangers about the fort’s history. What is it? 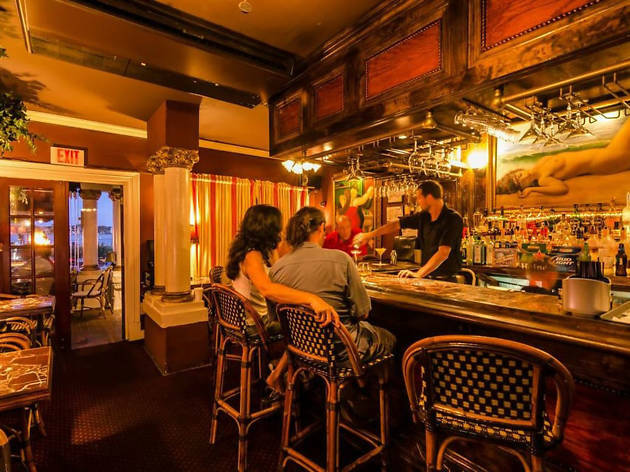 This jewel-box of a martini bar is inside the adorable Casablanca Inn and is the spot for live music and people watching. Why go? Want it shaken? Want it stirred? Doesn’t matter how you like yours, there’s an entire menu of martini and cocktail options here. Head to the patio for water views, as you sit and listen to cool jazz on a warm night and watch boats go by.